Following their lightsaber duel aboard the Death Star II at the goading of Emperor Palpatine, Luke’s appeal to his father awakened something within the defeated Darth Vader™ that brought about the return of Anakin Skywalker. The Jedi had finally fulfilled his destiny by hurling Darth Sidious into the Death Star’s reactor shaft thus saving his son and bringing balance to the Force. 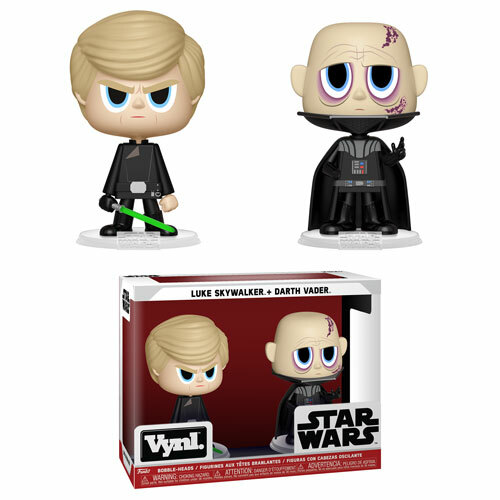 Posted in Funko, News Tagged darth vader, figures, funko, Luke Skywalker, star wars, vynl.